Here are some suggestions, from us to you! Okay, I know it’s cheesy, but that’s the great part about Valentine’s Day, right? This year show your family and friends how much you love them and make your own Valentine cards for your loved ones! Whether you’re sending a little love to kids or adults, we have special Valentine cards for all! I think there’s something so special about receiving personalized Valentine cards. I used to love making cards for all my classmates when I was in grade school. 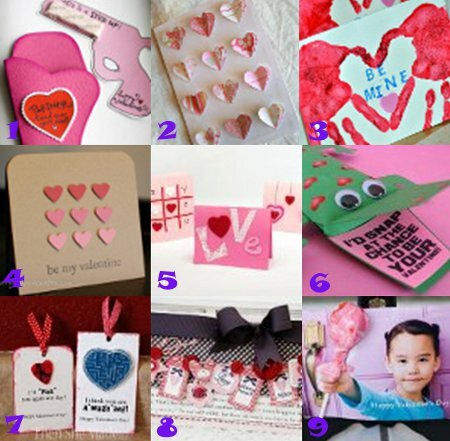 Unique Valentine cards for kids are so fun to make and are a great way to get your kids into crafting! These Candy Valentines with Printable are great for classroom parties! Fill them with candy hearts or cute little poems! Speaking of poems, one of the hardest things about making custom Valentine cards is thinking of the right words…so be sure to check out 22 Lovely Valentine Cards and Poems for some helpful suggestions. 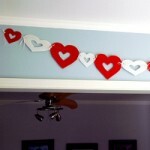 And don’t forget to sign up for FaveCrafts Annual Valentine’s Day Card Swap! If you’ve never heard of swapping before, here’s what it’s all about: Everyone who participates is assigned a partner to send a greeting card to, and someone is assigned to send you a card as well. Then every swap participant makes a Valentine’s Day card to swap! Once you receive your swap partner’s address, you send them a homemade card, and you’ll get one from someone else in return. The last day to join the Valentine’s Day Card Swap is February 1st! So hurry up and join us in spreading the love to all our wonderful readers! Wanna join us? Here’s how to sign up for the FaveCrafts Annual Valentine’s Day Card Swap!